Reallusion's Animation@Work competition is back after a four year hiatus in which time CrazyTalk Animator has grown from version 2 to 3 with features making it easier to use, more time saving, and more powerful than ever for 2D animation. 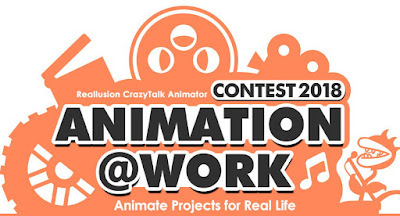 Create an animation with CrazyTalk Animator 3 and enter it into the competition for a chance to win up to US$2000.00. 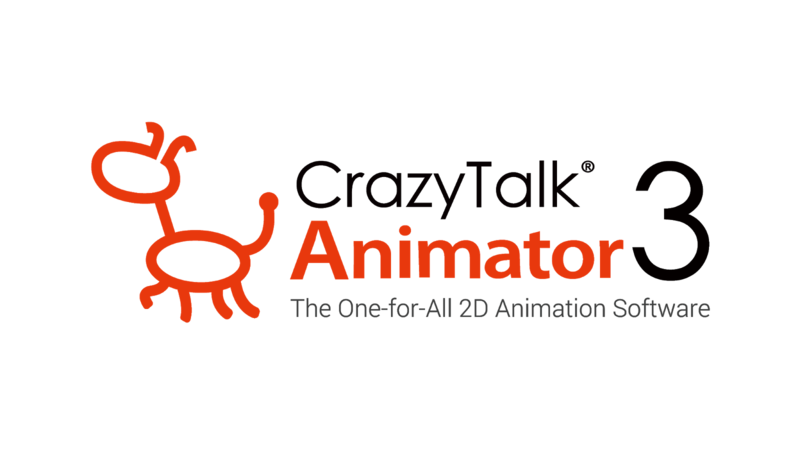 CrazyTalk Animator 3 literally caters to all skill levels of 2D animator from the complete beginner with no drawing skills whatsoever to the power user who loves nothing better than to bring their own original artwork to life with the least amount of effort. The most obvious use of animation in a work environment, business explainer videos are being embraced by organisations large and small. Your animation doesn't have to promote a real product or service but if that's how you use CrazyTalk Animator I'm sure Reallusion would love to showcase your animated video. This category is for those of you that create your own original characters and bring them to life through animation. It's not necessarily, literally talking comic book style characters but if you are a cartoonist and have always wanted to see your characters animated then this is the category for you. Animate your characters doing something funny and you're bound to be noticed. Do you have a YouTube Channel with more than 1000 plus subscribers? If you do then this is the category for you. Animation and YouTube has a long history with independent animators (if 12 years can be considered long?). CrazyTalk Animator 3 makes it possible to include animated content right in your videos without the long production times. Animation is known to be very engaging with any audience so adding it to your videos is really a no brainer. Create your own cast of characters and start animating. Entries must be one minute or more in length for all categories which each have a US$2000.00 first prize, plus software applications, and a lifetime subscription to Digital Juice up for grabs. The majority of the animation must be created with CrazyTalk Animator 3. If you don't own a copy then Reallusion has got your back with a free, Special Edition Download available through the competition website for you to create your entry with. 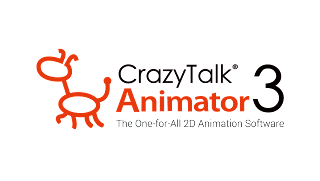 Also on the download page are special package deals for CrazyTalk Animator 3 with considerable savings if you decide to buy. Entries close July 20, 2018, so you have plenty of time (and don't forget how easy the software is to learn, as well as all the time saving features). I'll be submitting an entry and, if you want some idea of the competition, there are a few submissions already available to view.